Cadillac - Lucille Helen (Cain) Mosher, of Cadillac, formerly of Lake City and Lansing was born September 13, 1928, in Flint, the daughter of Willis and Blanche (Athearn) Cain. 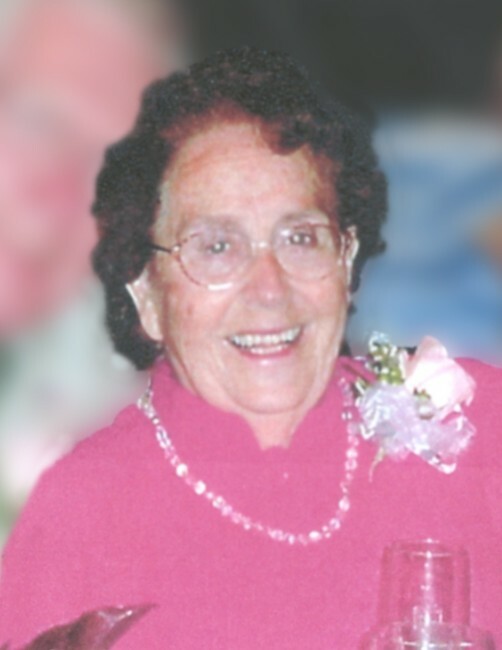 She passed away on Wednesday, February 13, 2019, at the age 90, while residing at the Curry House in Cadillac. Lucille was a stay-at-home homemaker, wife, and mom. She was known for her pies, cookies, jams, and canning of vegetables. She enjoyed mowing her grass and did so well into her 80's. She was a Detroit Tigers baseball fan and was always willing to help out wherever needed. Lucille was a loving wife, mother, grandmother, great‑grandmother, great-great-grandmother, sister, and friend who will be missed by all, including her "Bogart Street" friends. Lucille was preceded in death by her parents; three husbands, Floyd Reed, Ralph Reed, and Keith Mosher; son, Robert Reed; daughter, Brenda Beck; son-in-law, Rick Dingwell; brother, Harold Cain; brothers-in-law, George Haines and Garald Gardner; and sisters‑in-law, Delores Cain and Jacqueline Cain. Surviving are her children, Donald (Carolyn) Reed, Sandra Dingwell, Steven (Patricia) Reed, and Bryan (Barbara) Reed; step-son, Dennis (Ellie) Mosher; son-in-law, David (Susan) Beck; daughter-in-law, Renita (Michael) Reed-Thomson; grandchildren, David, Erica, Hannah, Noah, Monica, Emma (fiancée Gaston), Bailey, Holli (Justin), Savannah (Kyle), and Jessalyn; great‑grandchildren, Alyssa (Cory), Samantha, Evan, and Brendan; great-great-grandson, Gunnar; sisters, Gertrude Haines and Olga Gardner; brother, Lloyd Cain; brother‑in‑law, Wayne (Frosso) Reed; and many more loving family members and friends. The family is grateful for the care Lucille received from the staff at Curry House Assisted Living and Hospice of Michigan, Cadillac. Visitation and celebration of her life will be held on Wednesday, February 20, 2019, from 2 p.m. until 5 p.m., at the Young‑Holdship Funeral Home, located at 403 South Pine Street in Lake City. Interment will be in the spring at the Lake City Cemetery. In lieu of flowers, contributions can be directed to the Missaukee County Commission on Aging, 1980 South Morey Road, Lake City, MI 49651; or Friends Ministry Thrift Store, 3728 South Morey Road, Lake City, MI 49651.